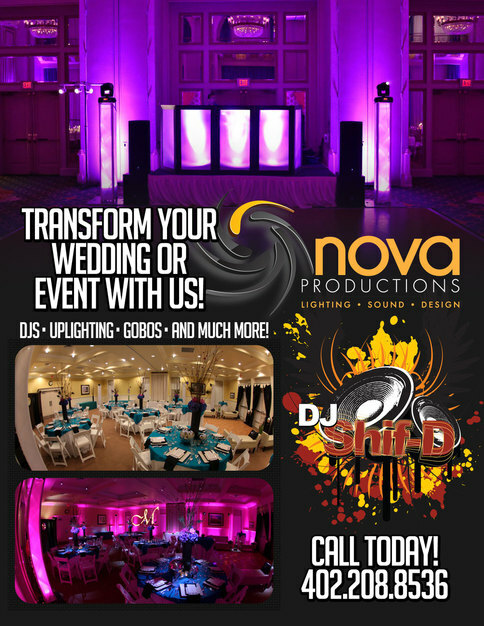 We are now offering a DJ/Photobooth combo for $1400. Gets you 3 hours of the photo booth and the ULTIMATE DJ/MC Package. When I began my search for DJ's I started at the regular bridal fairs where places like Complete Music were offering their services. I knew that I had been to weddings they did before and I just felt that there was something majorly missing. The crowd would come on and off the floor just as quick as the music was played and for me, that was not how I envisioned my wedding night. My goals were for my dance floor to be packed at almost every point of the night and that's exactly what I got when I hired Dave! I was lucky enough to come across Dave as he did my company's holiday party and was I BLOWN away by how awesome the music, sound and lighting were. Based on that experience alone, I knew I wanted him to do my wedding when the time came. One of things I enjoyed most was that he actually mixed music and gauged the crowds energy instead of just queing up song after song hitting play and waiting for requests. Dave is fantastic and super easy to work with. Want to provide him a playlist of music? Do it, but I highly recommend letting him do his magic. If you are looking to have a blast of wedding, stop wasting your time and hire Dave! 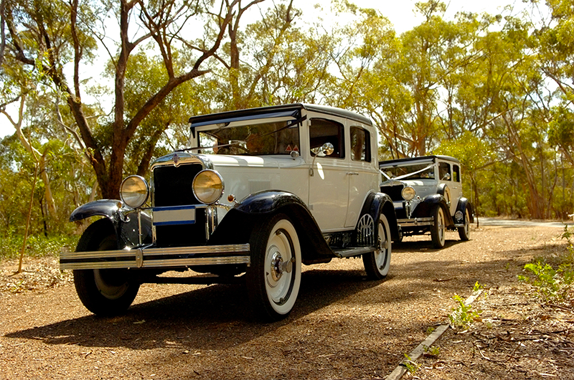 Looking to bump up the wow factor in your wedding? Opt for the additional lighting. Dave came to my venue to hook up the lighting and WOW, it made the ambiance 10 times better than I ever could have imagined. If you are looking for a unique DJ with an awesome personality hire Dave! Looking to wow your guests. Look no further then the Diamond Package. 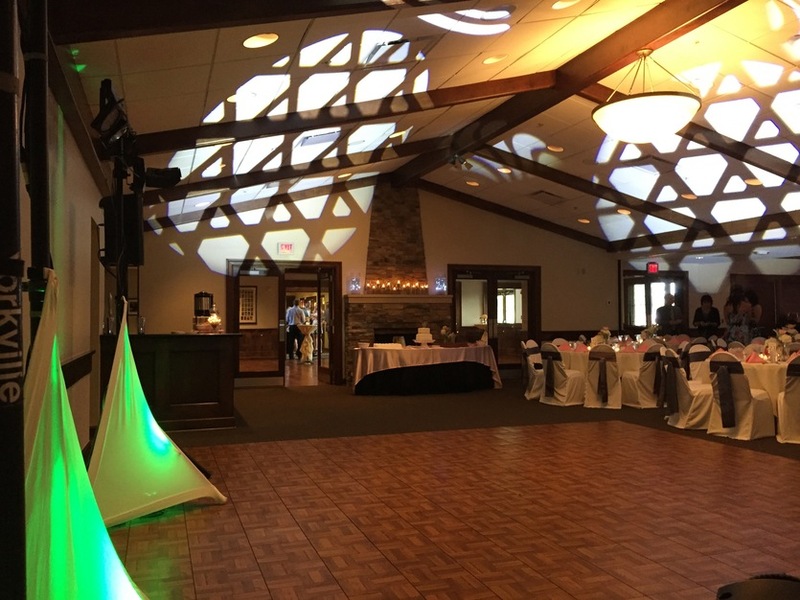 Includes DJ/MC Combo, DMX Intelligent Light Show, Uplighting the room/head table, GOBO machine to shine your name on the wall or dance floor, and our dry ice machine to make your first dance magical. 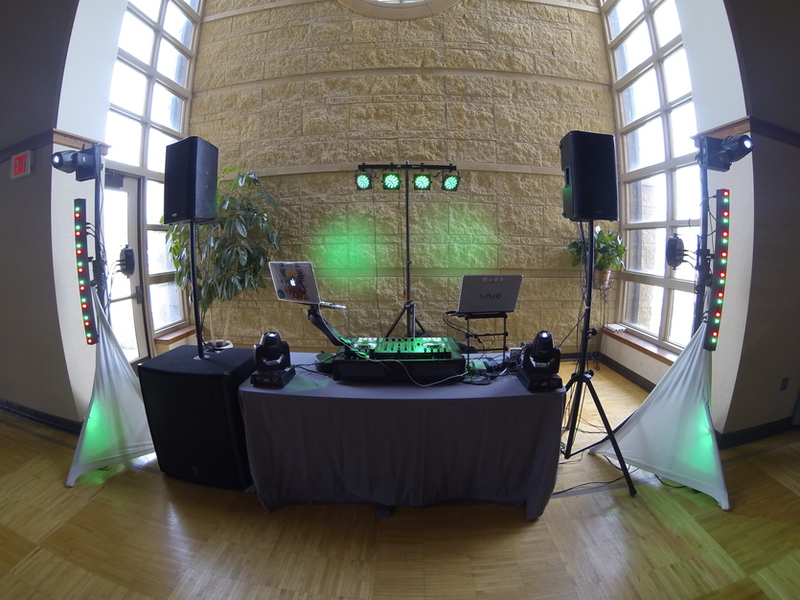 ULTIMATE Lighting Package with full room uplighting, DJ and MC combo with state of the art sound. ($300 Deposit to hold the date) *non refunable if cancelled. 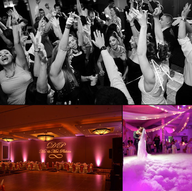 Basic package with a spectacular DMXed light show programmed to your weddings colors. This package will set the mood of your night from dinner to dance time! 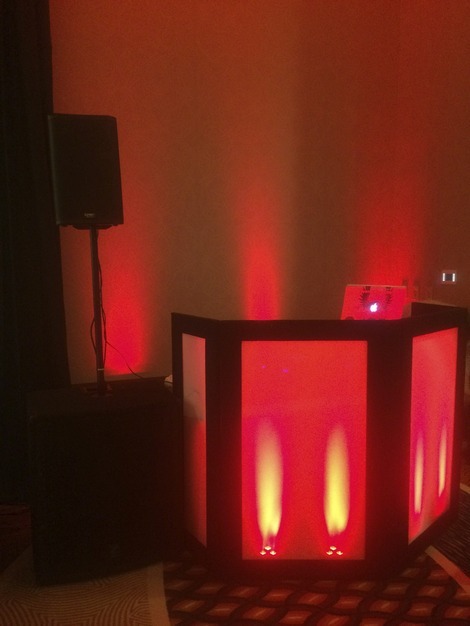 DJ and MC combo with state of the art sound and sound active lights. ($300 Deposit to hold the date) *non refunable if cancelled. 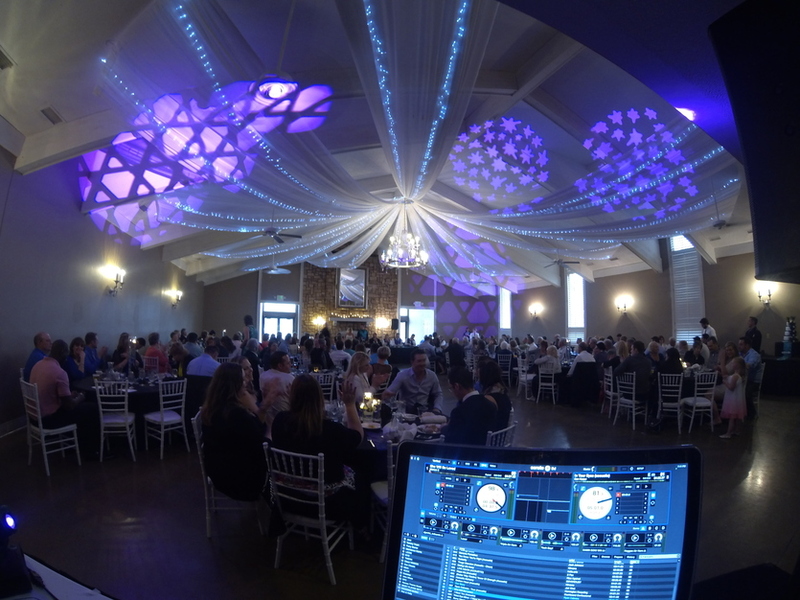 DJ & Photo Booth Package – Contact for Pricing! 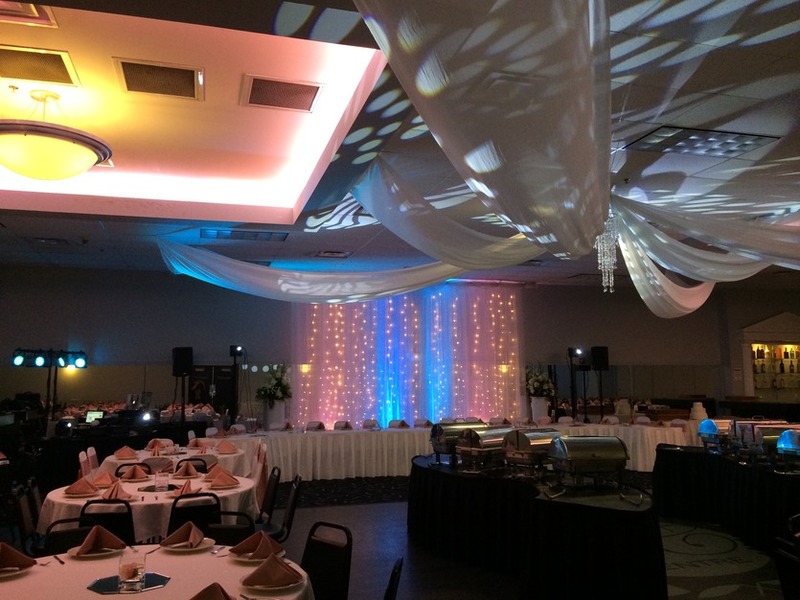 UPLIGHTING UPGRADE PACKAGE - $30 per uplight. 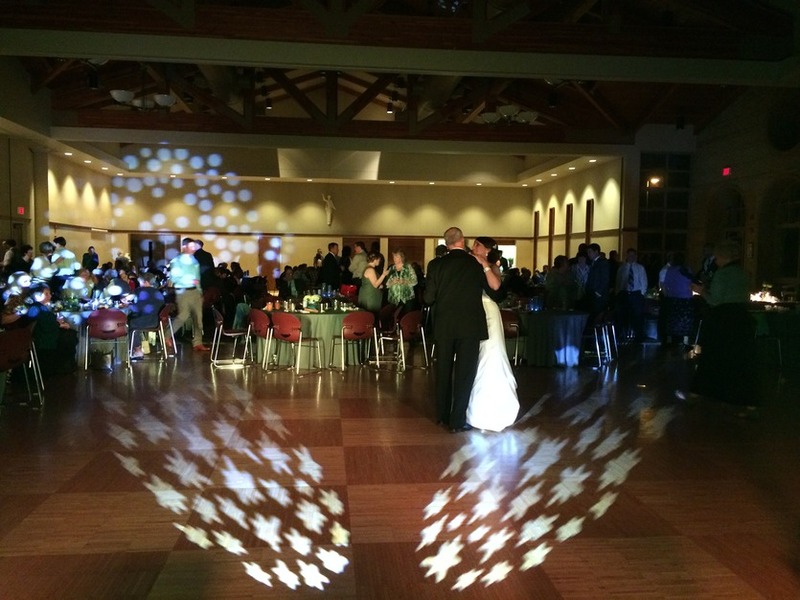 We can provide a GOBO with your name and wedding date to shine on the wall or dance floor. Nimbus™ is a professional dry ice machine which produces thick, white fog that hugs the floor and dissipates without rising. This powerful machine heats enough water to create fog from 10lbs of dry ice to provide 6 minutes of run time. Perfect Addition for the first dance or special dances. Uplight your cake table or present table with 2 bright LED lights. and a white spandex cover. *available for 4 and 6 foot tables. New video djing technology. Mix music videos for you wedding party to enjoy and talk about. Can post special messaged on the screen/s. Projector rental included. I will produce a slideshow dvd for you with music of your choice with multiple transitions. Additional charge for the scanning of photos. $50 per hour. The new rage in video is GOPRO! You will recieve a DVD of your wedding footage. (Raw footage) If you want it edited that will be extra. $50 per hour. Multimedia projectors will give you the largest picture possible from a portable device and are quick and easy to set up. With images up to 20′ wide these multimedia projectors are perfect for business presentations, weddings, birthdays, video games, football weekends, or anything that needs to be seen by a large group. PIXEL BOX PHOTO BOOTH – Contact today for pricing! 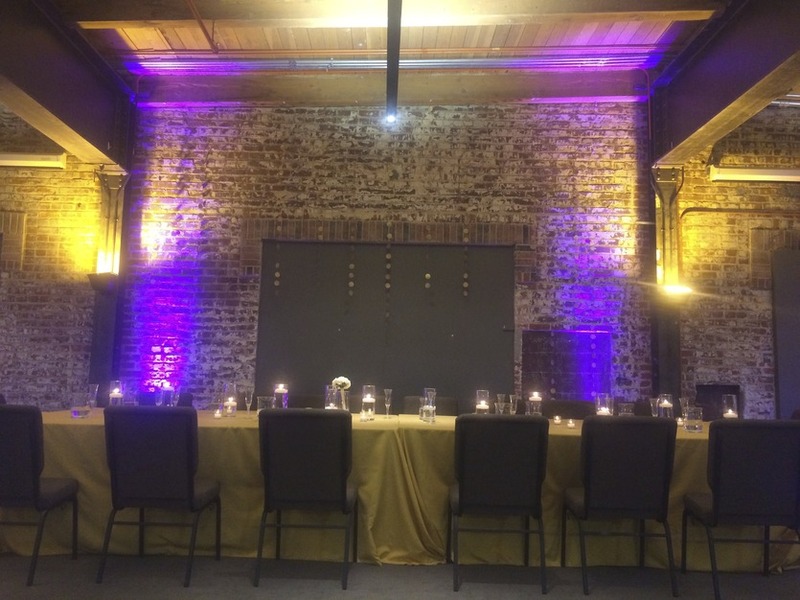 Having a event or wedding coming up? And want to capture the fun at? Pixel Box Photo Booth will take your event to the next level of fun! DESIGN AND PRINTING - Price varys. I also offer graphic design services and printing for all your wedding needs. Save the dates, invites, programs, so on. Wedding Promo 2015 from Dave Stutsman on Vimeo. 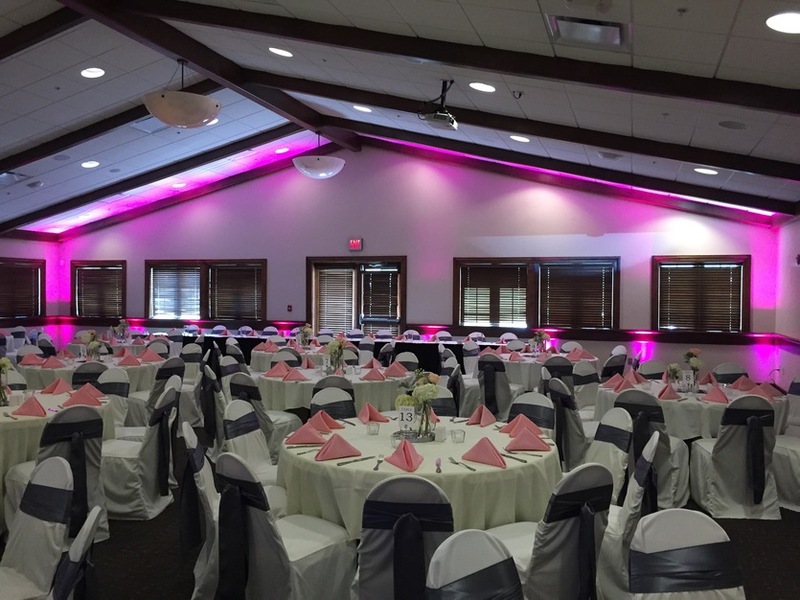 Sample of Father / Daughter Dance Lighting. from Dave Stutsman on Vimeo. First Dance Lighting from Dave Stutsman on Vimeo. Nova Productions Lighting Sample from Dave Stutsman on Vimeo. Dave and Bob were amazing DJ's. We had a blast dancing all night with them! They kept people on the dance floor and kept the party going. Dave was very helpful in accommodating our requests and is very easy to get a hold of and quick to respond. When planning our wedding for April of 2016, we knew having a phenomenal DJ was on top of the list. We have had the pleasure of seeing DJ Shif-D in action numerous times and have never been disappointed. Dave did a fabulous job. 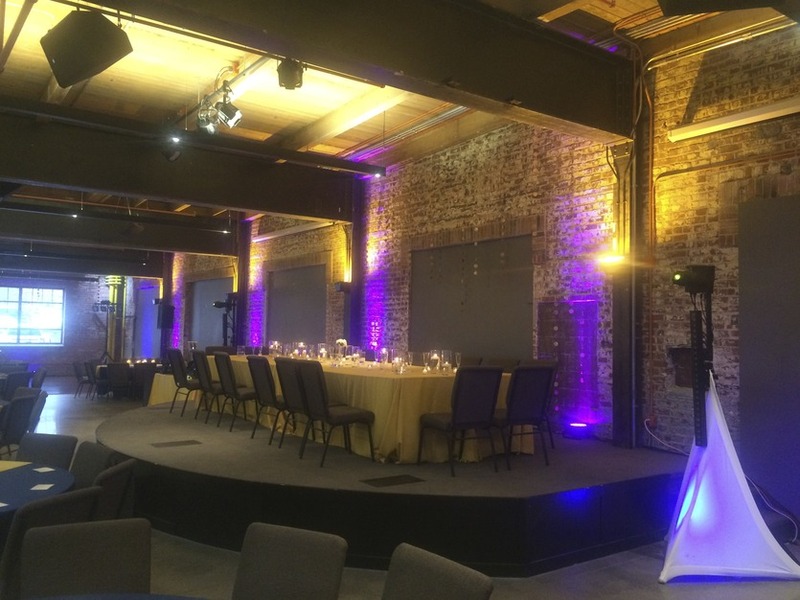 The venue looked amazing with the addition of his lighting services. When we met to go through the song selection, we told him we were nervous about our choreographed first dance. He suggested the dry ice fog machine! What a great addition! We were dancing the night away on clouds. Our emcee, Mike Kendall, has the voice to make you feel like a movie star when he introduced our wedding party. 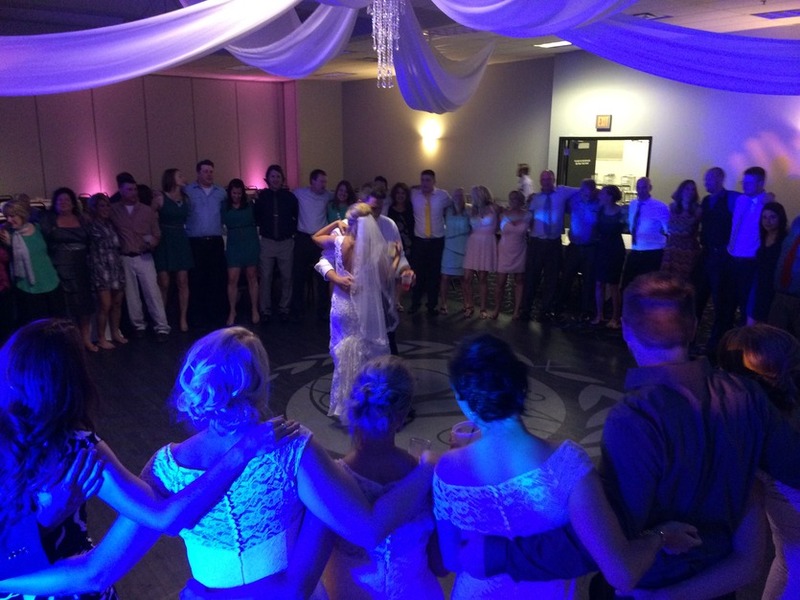 The dance floor was packed all night long with our friends and family celebrating our big day. There was never a dull moment! This was above and beyond all of our expectations. 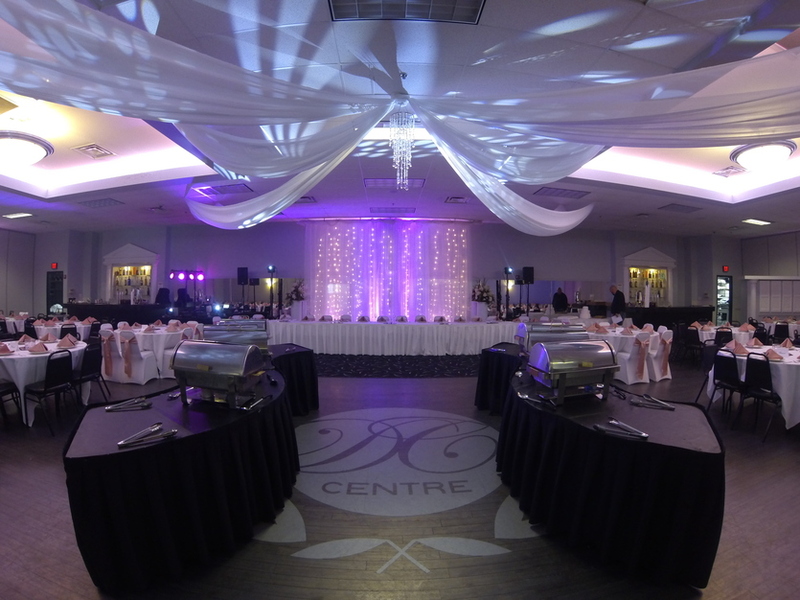 If you want a flawless event, endless dancing, and constant entertainment, look no further. DJ Shif-D is where it's at! Thank you for making our wedding a memorable event that we will cherish forever. I plan on using them again for future events. I would recommend to everyone! Sound and Lighting Rentals. Also provide wedding invite design and printing. Months. But I do have other DJs in my circle. I can help you find someone if I'm booked. Usually 6-8 hours. Depending if you need dinner music.